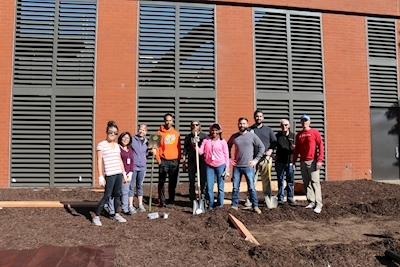 New edible and pollinator gardens are cropping up at Delta's General Offices in Atlanta thanks to leaders with a vision and planting volunteers from the airline's sustainability-focused business resource group Green Up. The gardens, which include raised planting beds along with pollinator gardens and blueberry bushes, serve as physical reminders of local food sources and ecosystems. The next phase of planting will include additional blueberry bushes, herb spirals and an orchard comprised of fig trees, peach trees and a muscadine trellis. "As I've become more involved with the local organic food movement, I've learned that people have become disconnected from their food sources," said John Laughter, Senior Vice President – Corporate Safety, Security and Compliance. "The new campus gardens remind us of the seasonality of growing and that the environment depends on us to take care of it. I'm proud to expand our industry-leading sustainability practices to our own General Offices." Delta people can now find raised planting beds brimming with seasonal organic plants like green onions, turnips, garlic, carrots, broccoli, mustard, kale, beets, chard and more. The beds are maintained by corporate farmer Cory Mosser, Founder – Natural Born Tillers, who will recruit employee volunteers to spend time tending the crops each week. Those who volunteer will be able to reap the rewards of their labor by taking home organic fruits and vegetables. Employees can also look forward to engaging with monthly guest farmers, learning from cooking demos featuring local farm-to-table chefs and bringing family members to campus for weekend gardening events. "I think one of the single biggest advantages of installing corporate gardens is that it gives people a chance to get outside and take a break," said Mosser. "I've found that people begin to enjoy their workplace more while they also get that reminder of seasonality and the environment around them. This is the largest corporate edible garden program that I know of, and I am excited to see how employees respond." In addition to raising awareness about sustainable farming practices, the gardens will also give employees the opportunity to maintain a balanced and sustainable work life. "The gardens help us build our Delta community, encourage time outdoors, provide an opportunity to refresh for a more productive workday and serve as a visual reminder to increase daily intake of fruits and vegetables," said Jae Kullar, Manager – Health and Wellbeing. 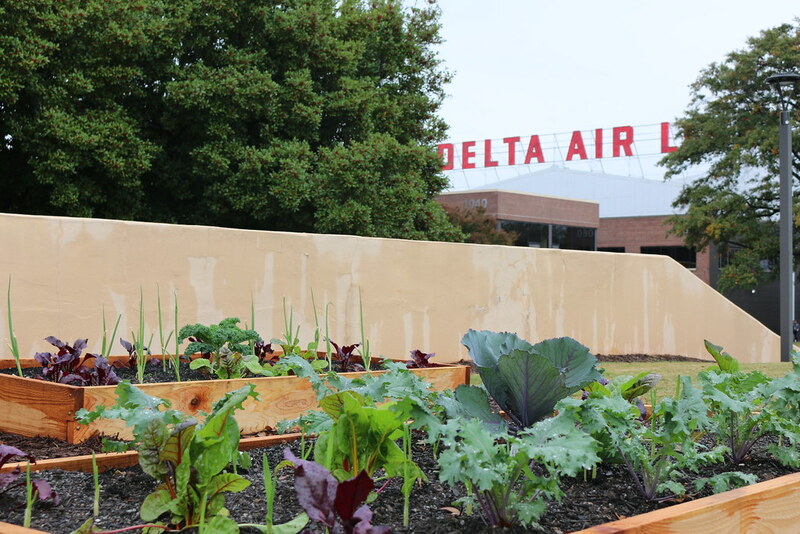 "We encourage all employees to create their own edible gardens at home and look forward to watching the gardens – and Delta people – thrive."